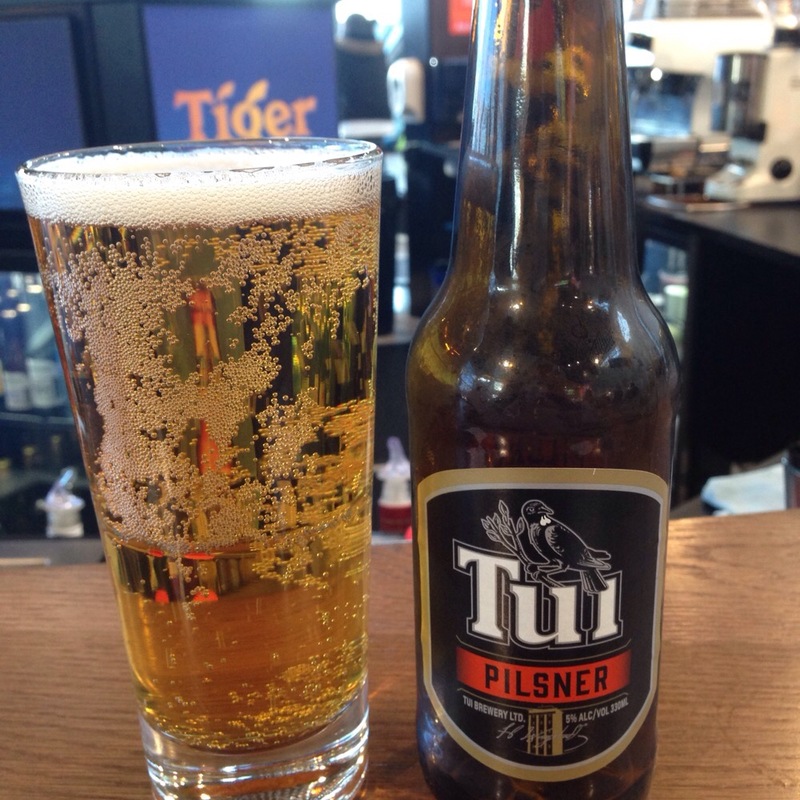 … or another post in the very occasional series of Airport Bars. 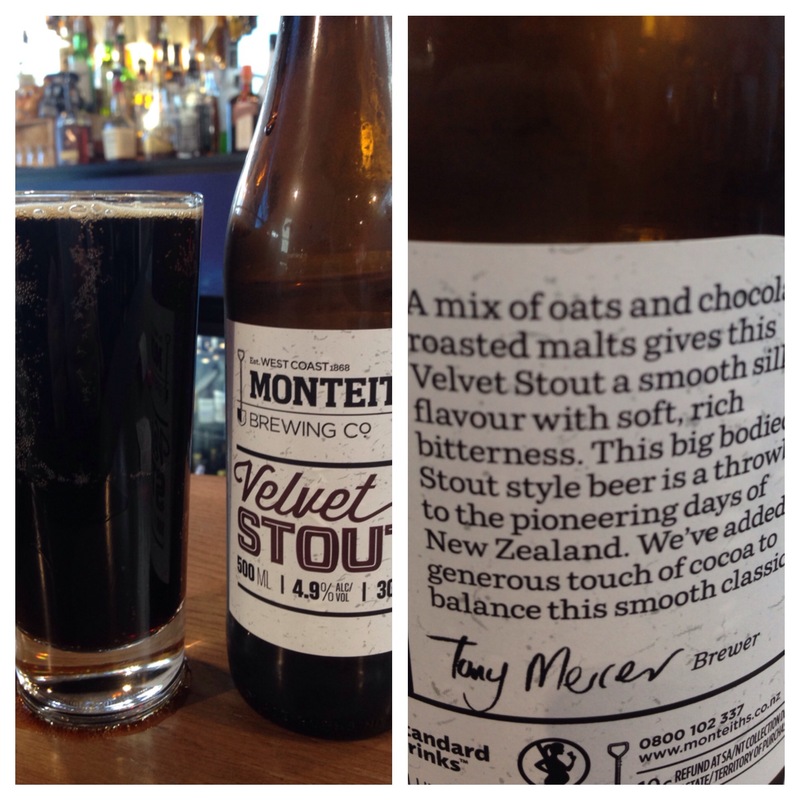 After a whirlwind trip to Auckland I’m sipping a Monteith’s awaiting my flight. Normally I’d be ensconsed in a lounge, but as I roamed the duty free my eyes were drawn by the fountain of bottles that distinguishes the “Flight Bar”. 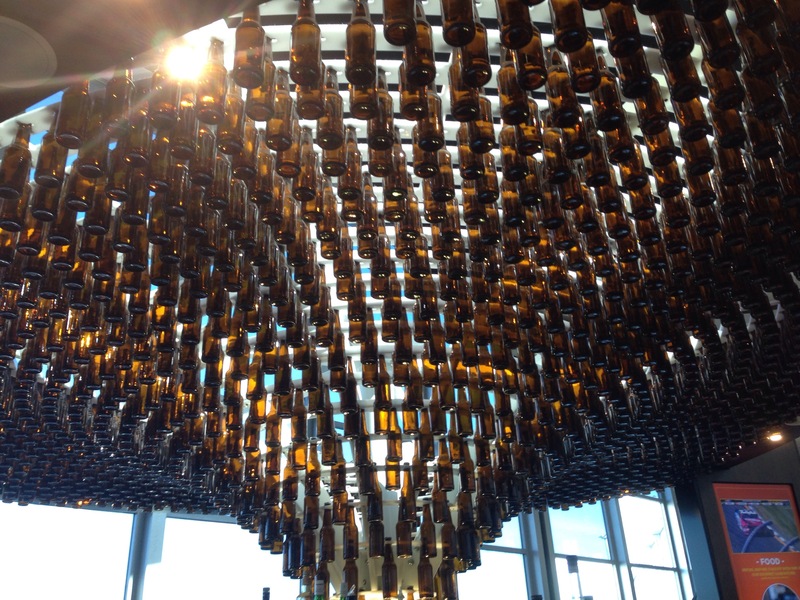 Apparently formerly the DB Bar, they’ve dropped some coin (or maybe not) and created a visual treat of suspended stubbies. A geyser, a plume, a spout of stubbies. Now this correspondent is an art philistine, but I know what I like and this is Rodin as far as I’m concerned. In addition to beer bottle sculpture, Flight Bar offers a couple of uniques (from my trip any way), including Tui Pilsner (woeful) and Monteith’s Velvet Stout (really solid stout).